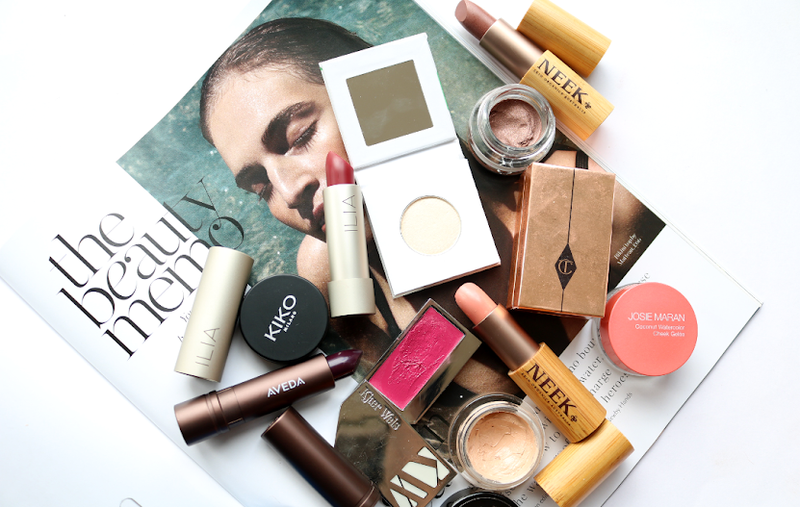 Summer is fast approaching, and I have been drooling over all of the new make-up collections that have arrived on counters recently. One bright and beautiful range comes courtesy of Dolce & Gabbana's newest release called the 'Summer In Italy' collection. 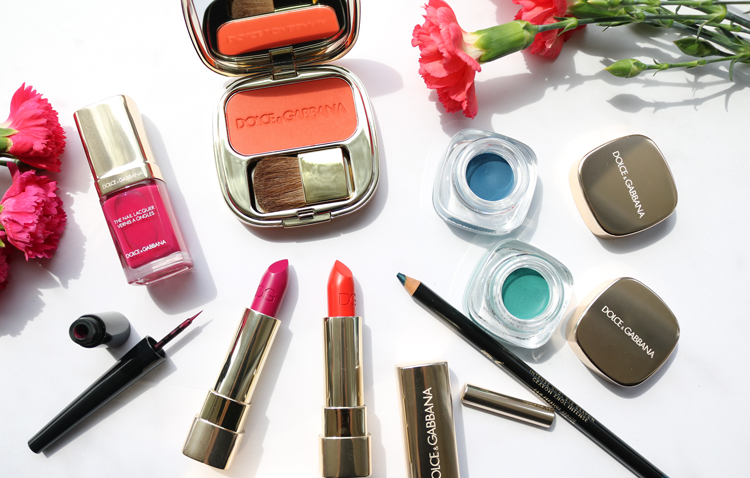 D&G's Summer In Italy collection is a bold and colourful love affair that seems to perfectly evoke the simmering heat of Italian summers with a fun and youthful vibe that takes inspiration from Sicily's citrus fruits and the heady Mediterranean atmosphere. Like many high-end beauty brands, this collection covers everything to detail Face, Lips and Eyes with, and there are a lot of new shades included. I have a few of the pieces to share below and as you can see, this is definitely not a collection for neutral lovers! For eyes, there's a striking Glam Liner Intense Liquid Eyeliner* (2.45ml, £25) in a new hot pink shade called Cyclamen 9. 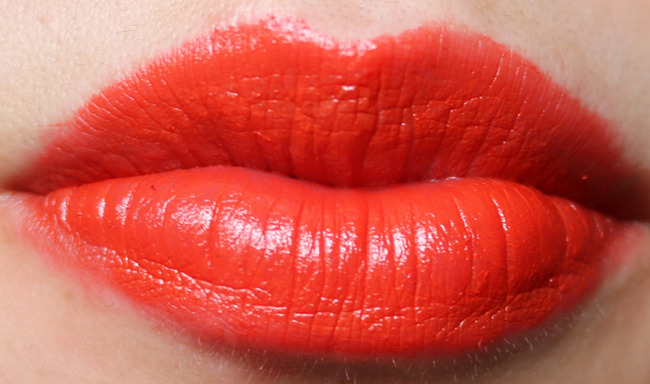 Not a shade that many would find wearable, but a product that would lend itself well to more adventurous and experimental make-up looks perhaps? The formula is fantastic though - richly pigmented, very easy to draw a very thin accurate line with, and I found it waterproof and smudge proof for at least 24 hours. For those wanting to stick to traditional pencil liners, there's The Khol Pencil* (2.04g, £19.50) in Peacock 3 (reissue) which is a stunning metallic sea blue. 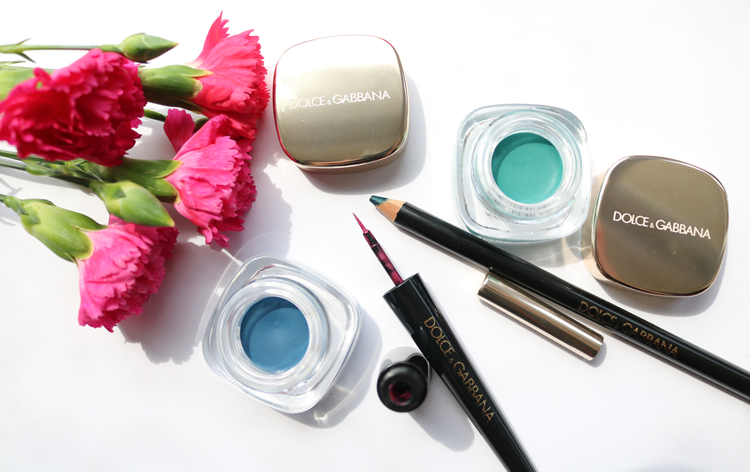 In this collection, there are also three shades of D&G's popular Perfect Mono Cream Eye Colours* (4g, £25 each), two of which are shown above, the new Turquoise 113 and the re-issued Indaco 110. 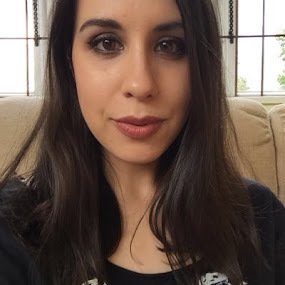 These cream to powder eyeshadows are buttery soft and last well throughout the day, though oily lids may require a primer underneath to stop it creasing later on. Nail polish fans will be happy to hear that there are four brand new colours available in D&G's Summer In Italy Collection. Pictured above is The Nail Lacquer* (10ml, £19.50) in Cyclamen 258 which I'm wearing on my toes right now! I'm very tempted to be all matchy matchy and do a mani in this later so I'll Instagram a photo sometime this weekend if you're curious to see what this vivid pink looks like on. 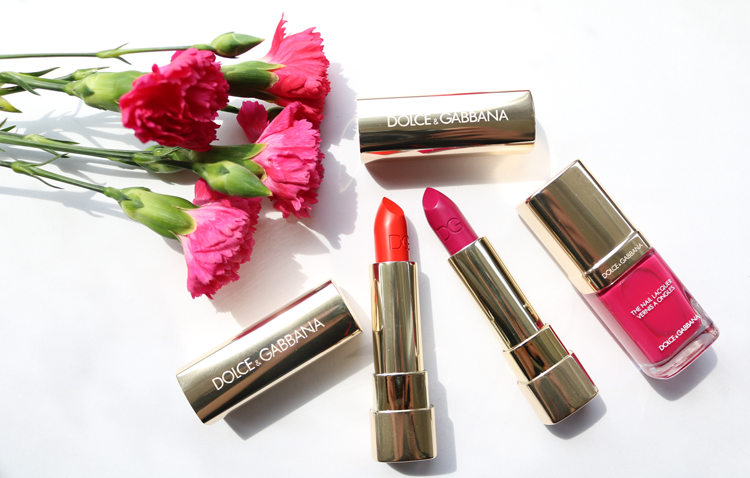 Lips are treated to two brand new shades of D&G's Classic Cream Lipsticks* (4g, £25 each), and these are called Venere 236 and Cyclamen 258. Venere is a bright orange-red and Cyclamen is an even brighter fuschia pink with purple undertones. Not for the faint hearted but these would look amazing with a deep summer tan, and the creamy formulas are perfect for keeping lips hydrated on those hot and dry days. 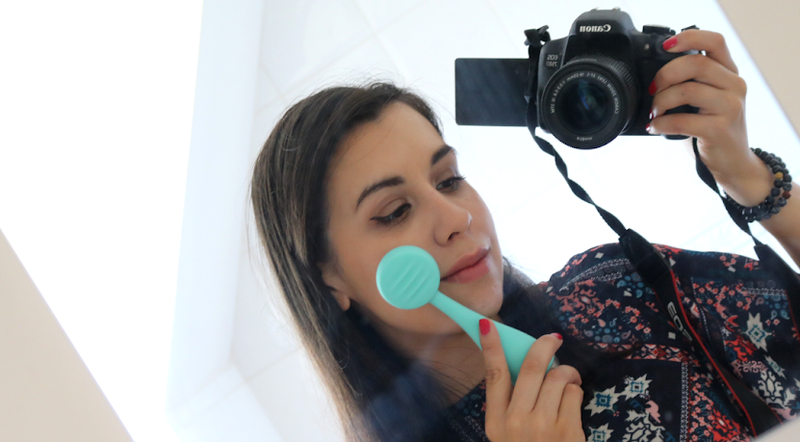 Lastly, for face, I have their brand new The Blush Luminous Cheek Colour* (5g, £31.50) in Orange 17. As you would expect from D&G, the packaging is completely on point and luxurious with the blush being housed in a sleek gold compact complete with a mirror and brush (which is soft and actually usable by the way!). 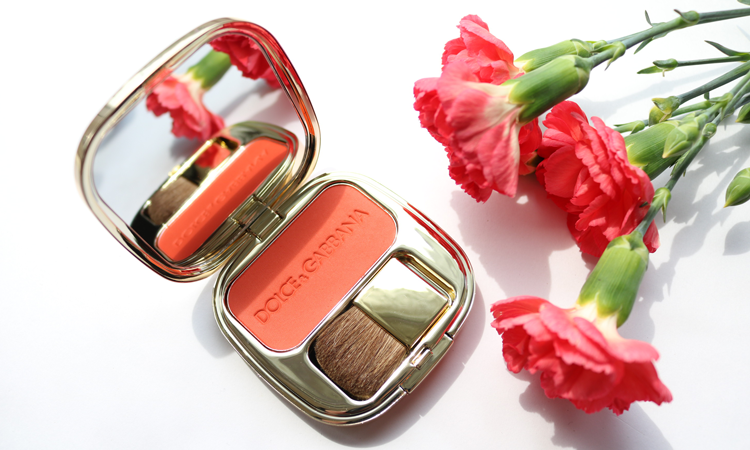 The blush itself is silky soft and pigmented, but it's easy to blend and can be sheered out into a lovely lighter orange flush to add a pop of colour to tanned summer cheeks. Swatches! 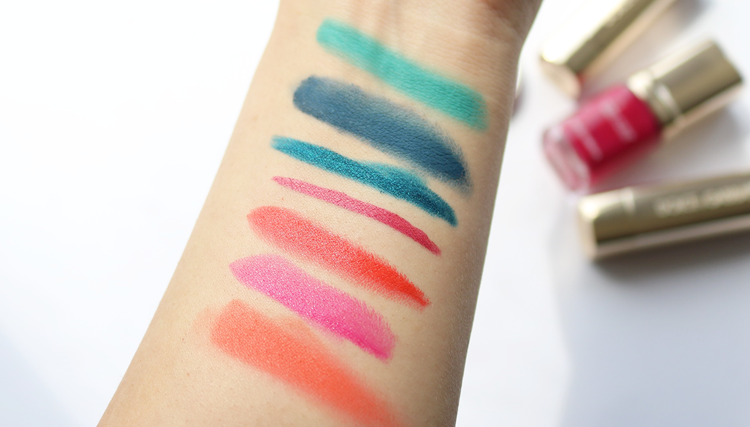 From top-bottom: Dolce & Gabbana Perfect Mono Cream Eye Colours in Turquoise 113 and Indaco 110, The Khol Pencil in Peacock 3, Glam Liner in Cyclamen 9, Classic Cream Lipsticks in Venere 236 and Cyclamen 258 and The Blush Luminous Cheek Colour in Orange 17.